Wings Over North Georgia offers our fans the Premium Infield Camping Experience or Standard Dry Camping Experience, available now for advance purchase only. Guests can arrive as early as Thursday and watch the arrival of the teams, plus see the air show performers practice on Friday! Then just kick back and enjoy two more days of world-class air show action. In the event of inclement weather, acts of god and/or public incidents; current FAA and Public Safety Authority guidelines may require adjustments to the show & performer schedules including the possibility of postponement or cancellation. All scheduled performers, events & activities are subject to change without prior notice (Photos depicted on this site are for example purposes only). *This is an outdoor event, there are no rain checks or performer rain date options. All Sales are Final, No Refunds available! Fans can experience all the world-class air show action headlining the USAF F-22 Raptor & A-10 Thunderbolt II Demo Teams directly on the Russell Regional Airport this Oct 13-14. These prime infield style camping spaces make an excellent option for families to enjoy all the weekend activities directly from the airport grounds. The premium infield camping experience is positioned directly adjacent to the flight-line ensuring guests are in the middle of the air show action. 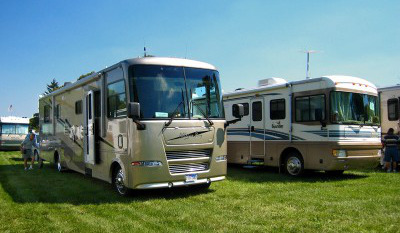 Based on availability, the premium infield camping spaces offer both asphalt and grass camping options with complete RV hookups. Premium Infield Camping Experience Package includes -- Camping Space (20’ x 45’); 2-General Admission Weekend Passes; 1-Airport Premium Camping Parking Pass; 30/50 Amp Power Supply (min 50’ power cord required); Water (min 50’ hose required); 1-Pump Out Service. 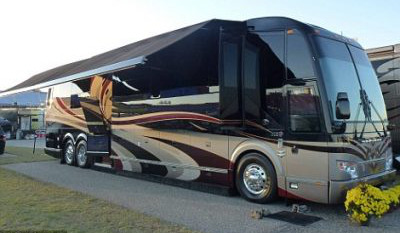 Motor-Homes, 5th Wheels & Pull Behind Units Only (No Tent/Pop-Up Camping Units Allowed). Air Show Premium Infield Camping Experience guests can arrive as early as noon on Thursday to set up and see the pilots, aircrew and teams arrive and rehearse on Friday. NOTE: All camping site locations are first come, first serve basis! Dry Camping Experience is located at the air show main entry area on the west side of the airfield offering our guests with great access to the show and their camping locations. This location offers a greater number of airport camping spaces with easier access/egress to the show and camping center. Guests now have the option of camping up to three (3) nights during the air show weekend activities for one affordable weekend price. The dry campsite size is 20' x 45' spaces conveniently located at the airport. Camping Guests -- Must have an air show daily ticket for entry into the air show area & activities. A complete menu of advance General Admission and Premium Seating ticket options are available On-Line. Daily general admission tickets can also be purchased at the entry gates! This is an outdoor air show event, with no performer rain date options. Questions can be directed by emailing us at tina@wingsovernorthgeorgia.com or by calling the air show office at (706) 291-0030. All major credit cards are accepted.All reservations & ticket sales are final. Dry Camping Units must be self-contained -- Water, electricity & sewer access is not provided. Limited Porte-Jons & Wash Stations are located within dry camping areas. In the event of inclement weather, acts of God and/or public incidents; current FAA and Public Safety Authority guidelines may require adjustments to the show & performer schedules including the possibility of postponement or cancellation. All scheduled performers, events & activities are subject to change without prior notice. This is an outdoor air show event, with no performer rain date options. All reservations & ticket sales are final, with no refunds available! PUMP OUT & POTABLE WATER SERVICES -- Guests requiring these services can coordinate directly by calling Johnny On The Spot at (678) 986-1883 ($35 each). Campers can begin checking-in on Thursday beginning at 12:00 noon. All campers must be packed & checked-out NLT 7:00 pm on Sunday evening. 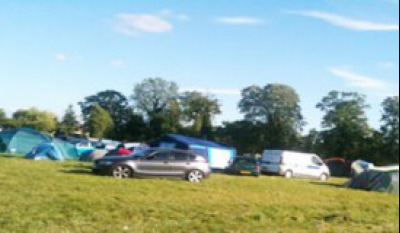 All vehicles & camping equipment must be located within the designated camping space. Additional vehicle parking will be directed to the camping overflow parking area. A Sat/Sun Airport Parking pass is required in the overflow parking area. There will be roving 24-hour security and quiet time in the camping area from 10:00 pm – 7:00 am each night. Use of generators are allowed, but WONG recommends all generators have an exhaust flow pipe and be placed on the entry side of the RV/Camper/Tent. 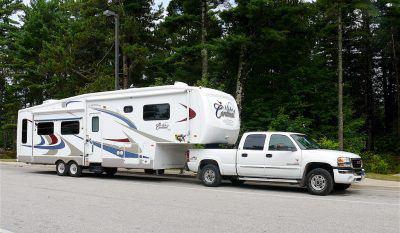 We ask that campers use courtesy toward their neighbors in the placement of generators. WONG security may ask that you relocate your generator if it disturbs those camping around you. Please do not hesitate to report any disorderly conduct issues to the security guards. Please do not hesitate to report any disorderly conduct issues to the security guards. NO flat-bed trucks or trailers, box-trucks, tractor-trailers, lift trucks, portable storage containers, truck-attached or affixed platform taller than 10' are prohibited. NO Fireworks or Drugs are allowed on the airport premises. Private golf carts / ATVs / scooters / go-carts / bicycles / roller blades / skateboards are NOT ALLOWED INSIDE VENUE. In-ground campfires (commercial built above-ground metal fire-pits only), attachments to the fence and scaffolds. OPEN FIRE PITS WILL ONLY BE ALLOWED IN THE CAMPING AREAS PER GEORGIA FORESTRY DIVISION WEEKEND APPROVALS. USE OF LOUD SPEAKERS, PUBLIC ANNOUNCEMENTS, BULLHORNS OR ANY OTHER DEVICE TO GENERATE MUSIC OR LOUD NOISES IS PROHIBITED. This is an outdoor event, there are no rain checks or performer rain date options. All sales are final, no Refunds available!